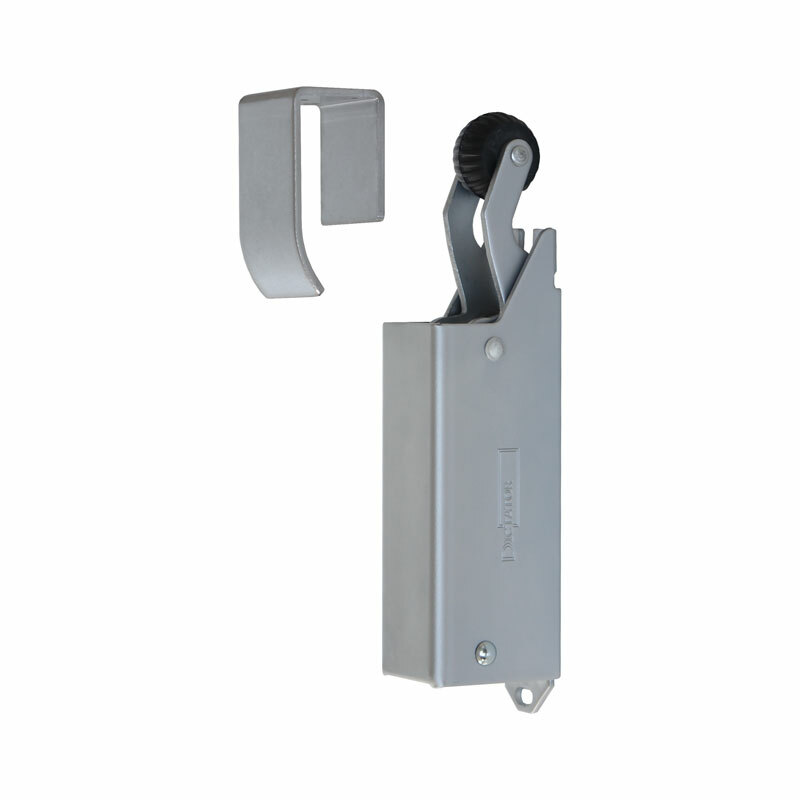 The R 1400 door damper is mounted on the push side of the door. 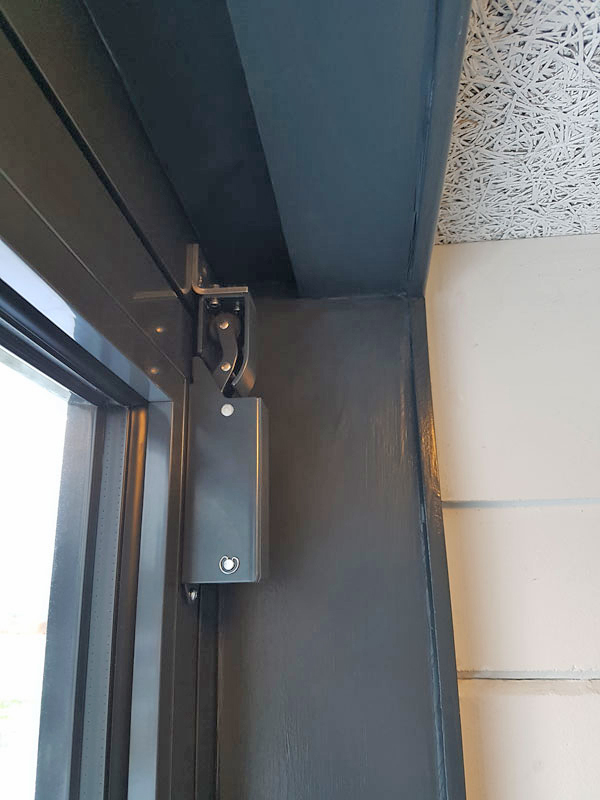 You can fix it either vertically or horizontally. 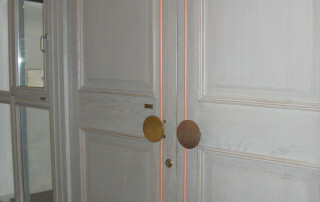 The hook is fixed to the frame from below or horizontally to its side (ill. 1). 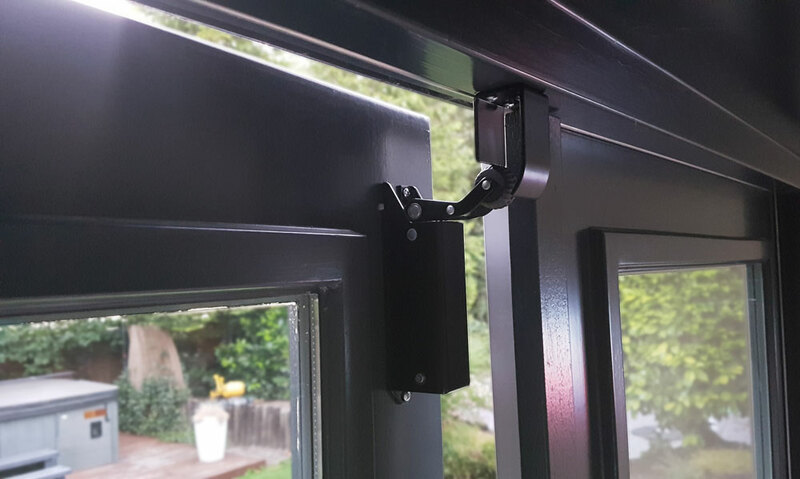 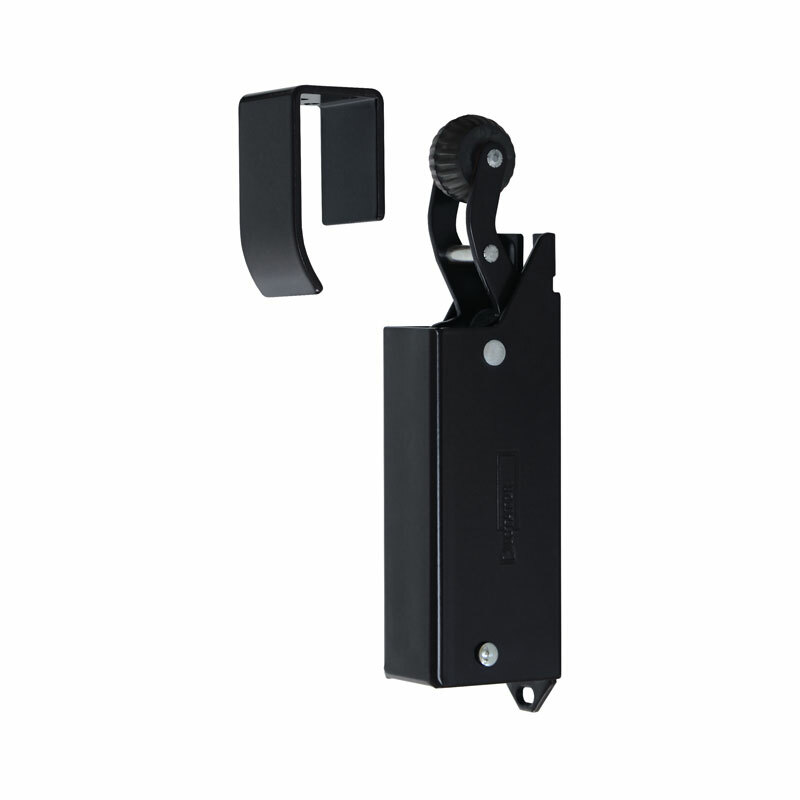 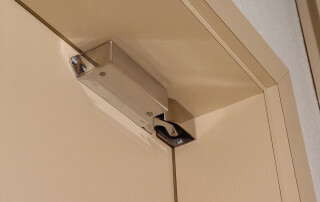 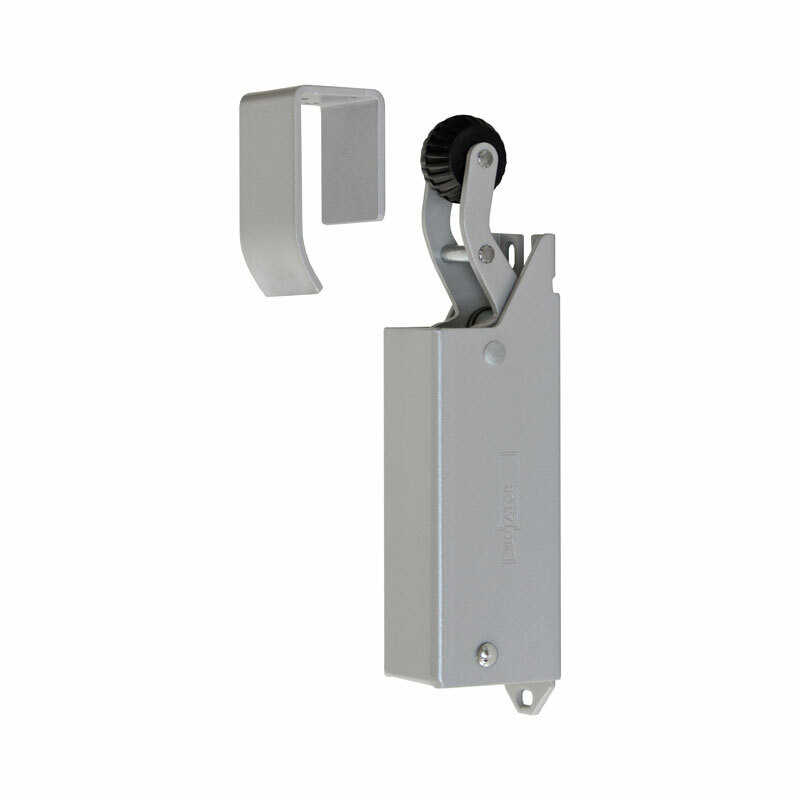 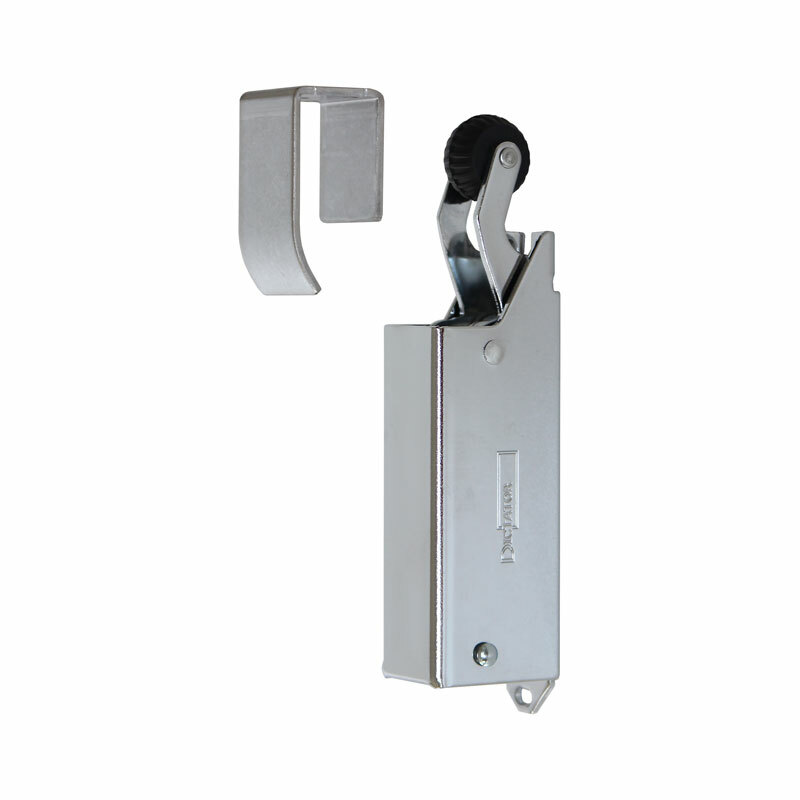 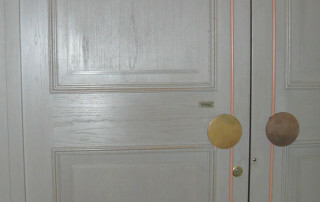 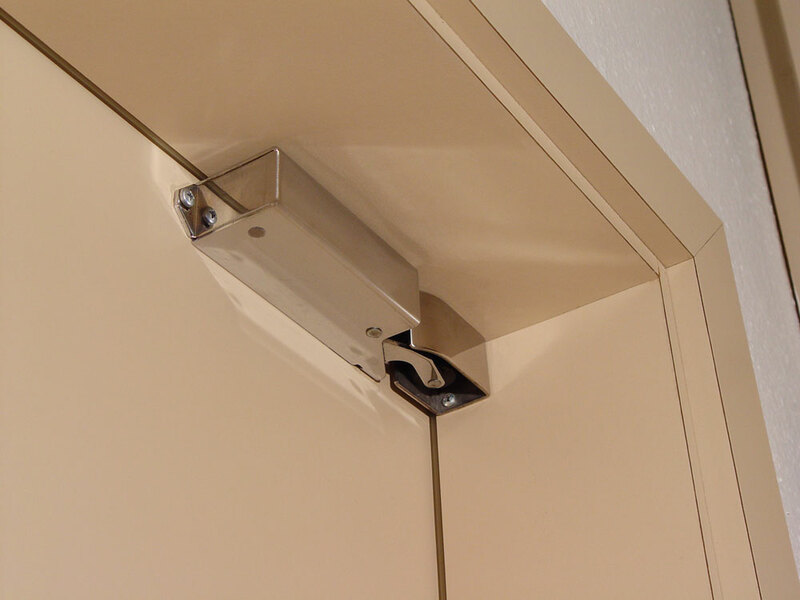 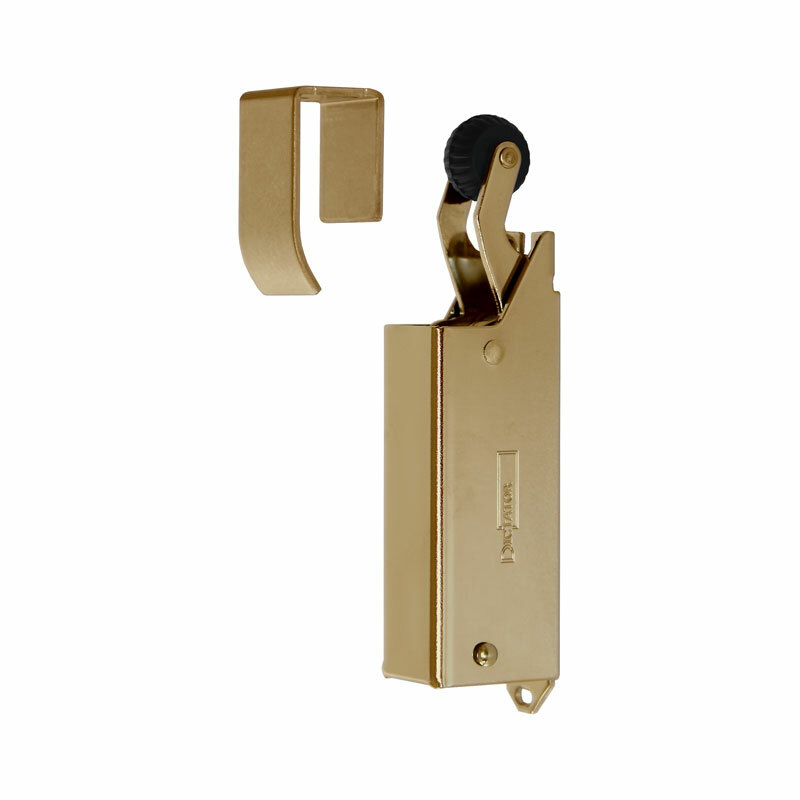 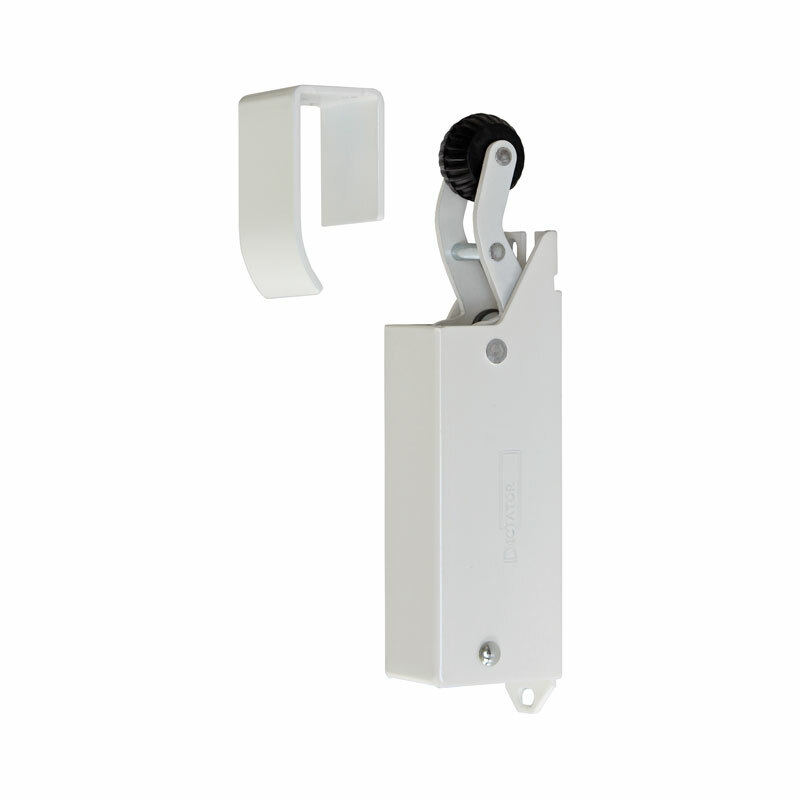 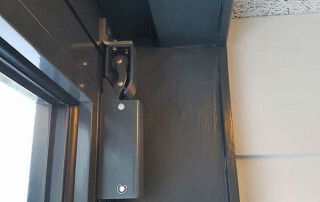 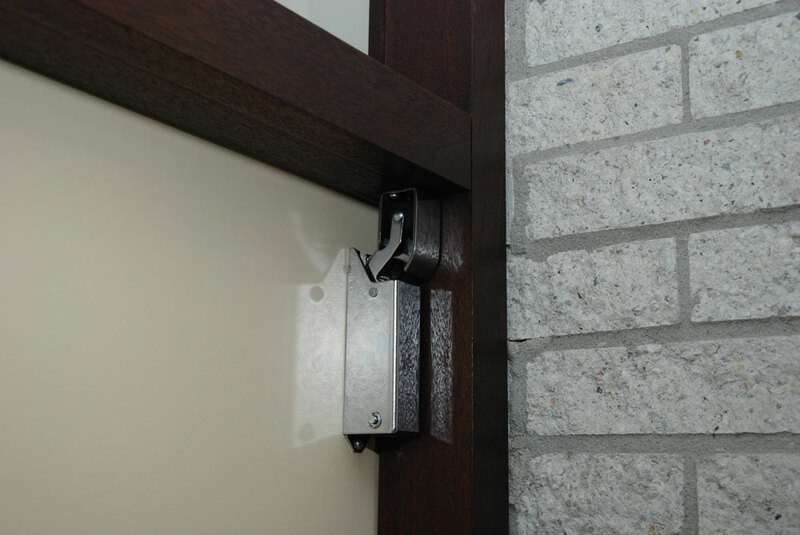 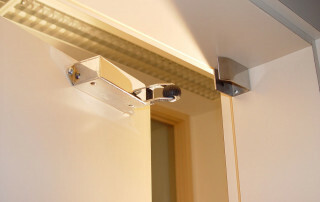 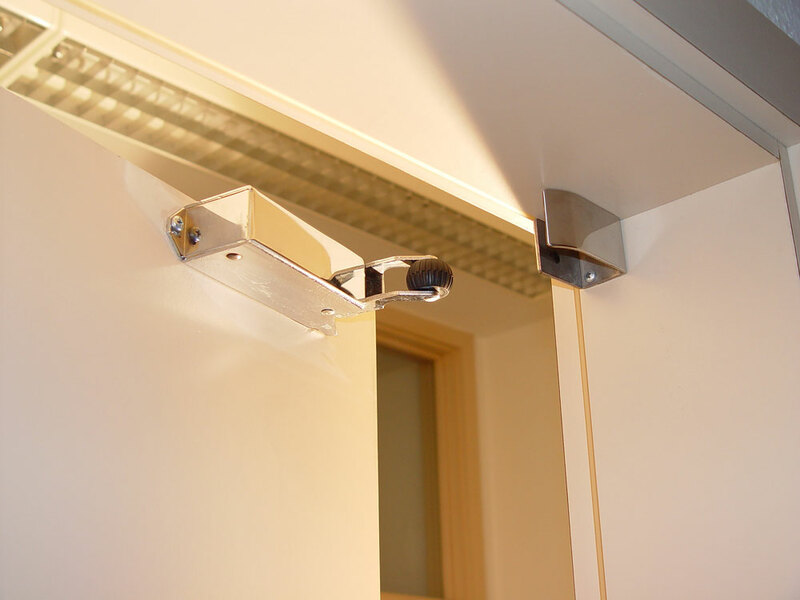 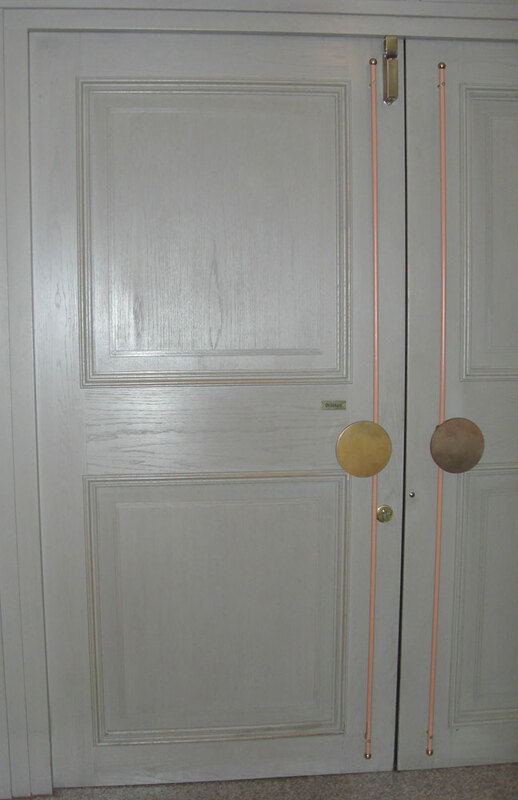 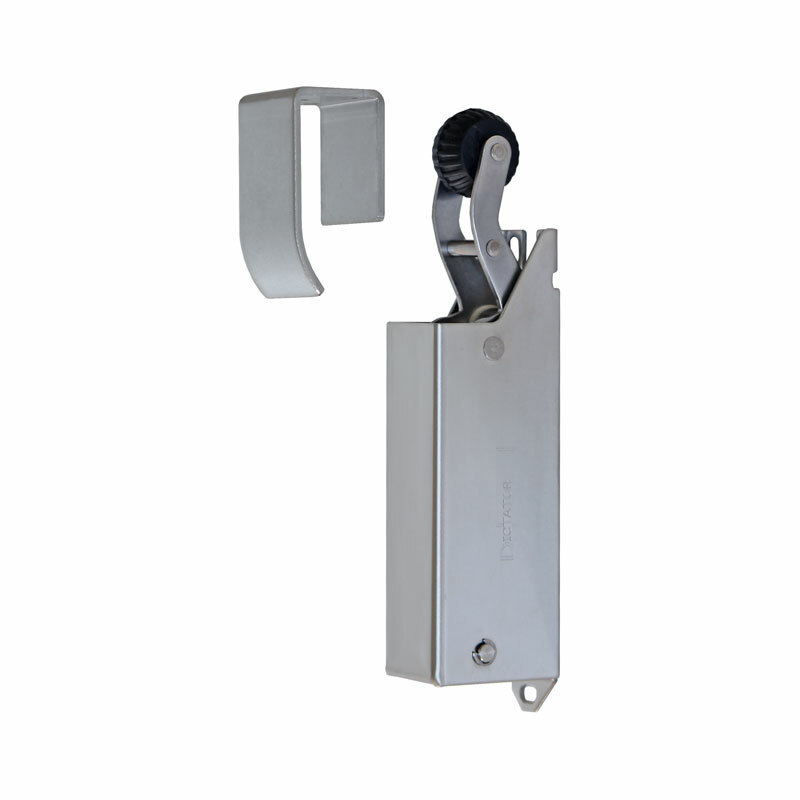 On flush doors with a plastics or aluminium frame, the hook can also be fixed onto the frame using the mounting bracket (see below) (ill. 2a/b). 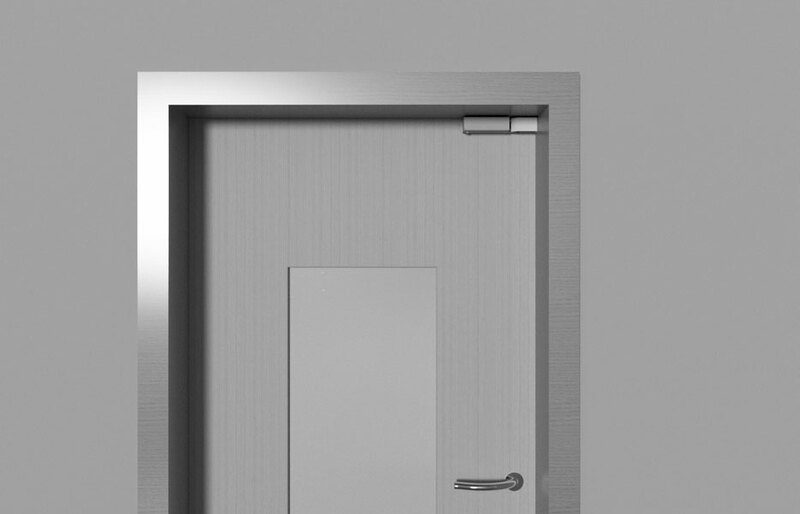 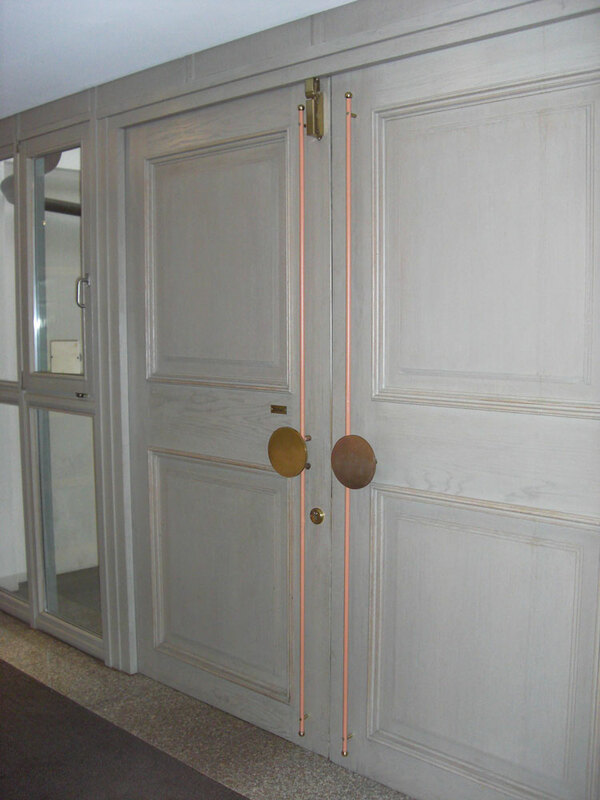 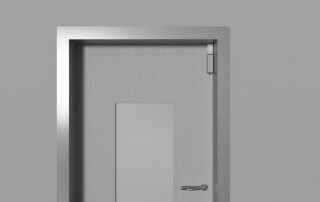 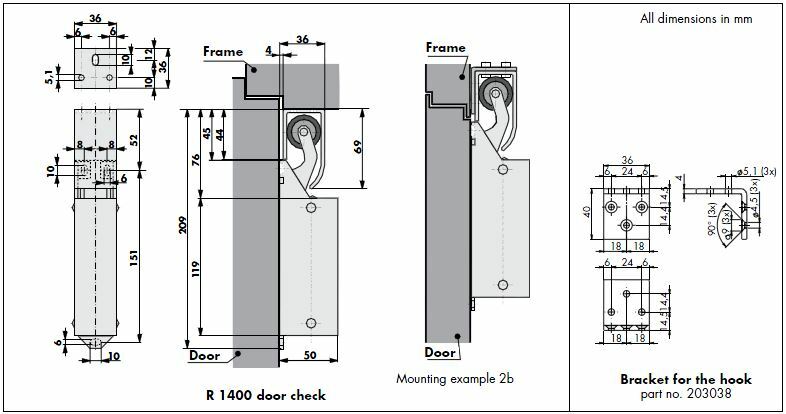 Important: Because of the hook protruding in the doorway, especially in ill. 1 and 2a, and to avoid any risk of injury, the door damper R 1400 should always be installed on the side, and not on the middle of the door.